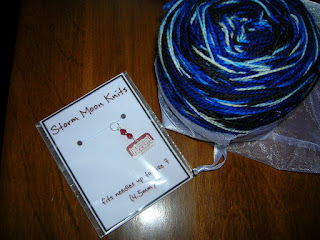 This past weekend was the long-anticipated Knitter's Connection. 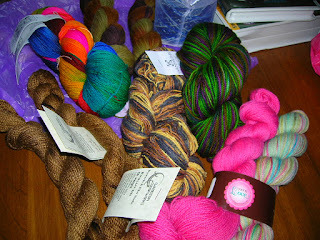 It was a great Wed-Sun of classes with a yarn market, etc. Great convention by all reports. I didn't get to go to any of it, really, except for the market, but that, alone, was awesome! It seemed, even on Saturday morning, like a lot of the sellers were getting low on stock, so that's good for them, too, right? Everyone who pre-registered for only $10 got a great goodie bag o'swag. Yarn and mags that I would probably not have bought on my own, but it's thrilling to have some of these odd balls around to play with, and since I never buy mags it's fun to have those to look at and maybe even try a pattern from! 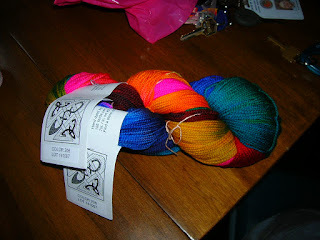 And the title skein for this blog, you ask? Look at it's lovely brightness! Look at the fantastic mix of contrary colors! If only you could feel the sweet, smooth merinoness of it . . . and smell it's delicious "I'm going to be even more beautiful on your needles" aroma. Let's all drool together! Knittingbrow knew that I would love it - I walked up and he had this in my hands before I could even say hello. "Here," he said, "It's Vegas Brights." And I was sunk. Sold. No need to look further. 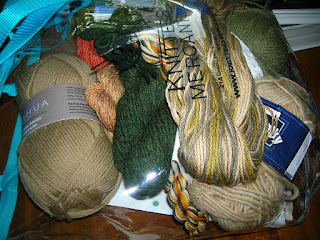 Every yarn seller in the universe should have KB at their booth. This is from Interlacements. 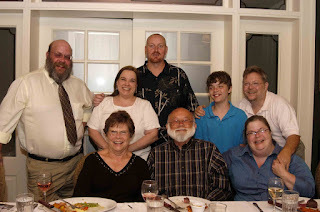 Sunday night we celebrated my parents' 50th wedding anniversary. We took them out to a really nice dinner and gave them a DVD with some of our old home movies on it. My sister arranged most of it, and I was really impressed - it was great. 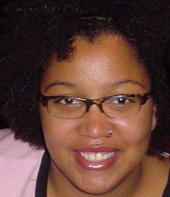 I persuaded hubby to bring along his camera for some nice pictures. My folks are in the front row with me, then my brother, sister, bro-in-law, son and hubby in the back row. We have a small family, but it's still rare for us all to be together. We watched the movies during dinner (the restaurant provided the TV/DVD player) and it was nearly perfect. Don't my folks look great? Doesn't seem like they're old enough to have been married 50 years . . . but it's all true! Congratulations Mom and Dad! It was great to meet you too! Columbus was awesome! send a happy 50th to your parents from me! your family is adorable.